Welcome to this week's Sizzle into Summer. Spring is over and summer has hit with a sizzle. The first day of summer here in New York was near 100 degrees! Parade of Homes tour where she lives. This bedroom is just stunning. The Ordinary Beautiful shared her DIY drapes. Such a fun fabric. Comfortably Carried Away shared how she transformed an ottoman using a coffee sack. 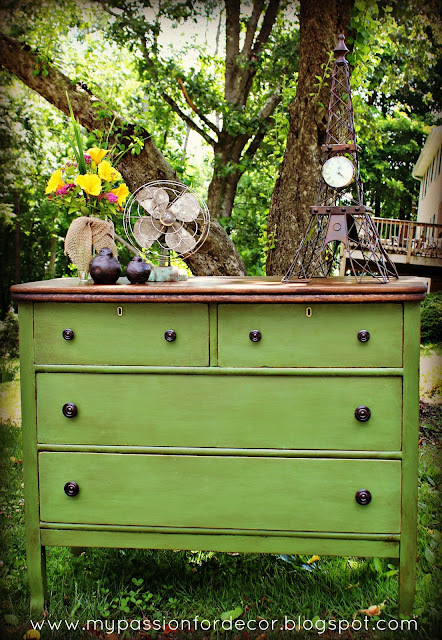 My Passion For Decor transformed a white and neglected craigslist find into this green beauty. Hope you stop by to check out the before and after photos. Turnstyle Vogue combined burlap and graphics to create this super door hanging. The House that Built Us shared this super unique wreath making a monogram out of Cheerios. 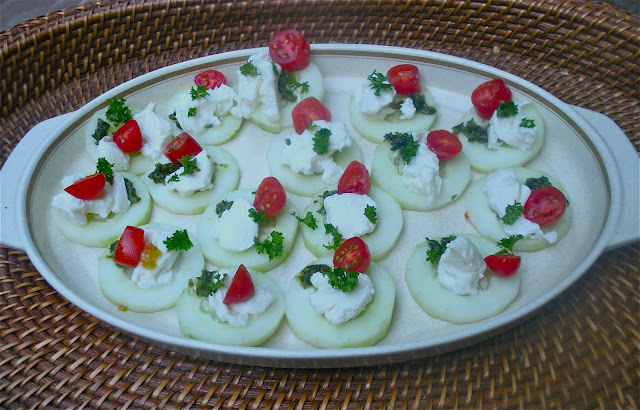 Make the Best of Everything shared her recipe for Caprese Cucumber bites. What a perfect dish for the summer. 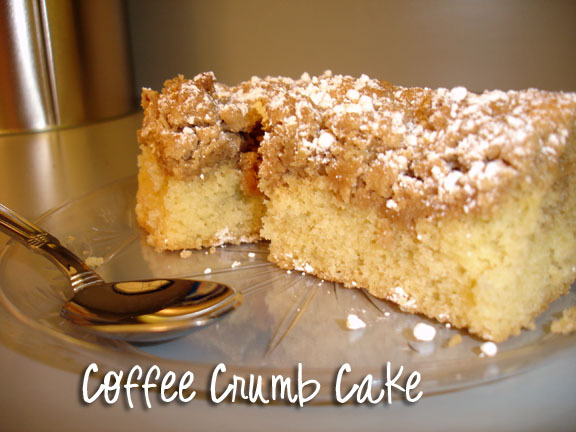 Family Love Home shared her recipe for home made coffee crumb cake. Hi Judy! Awesome features! Thanks for hosting! Lovely features! Thanks for hosting, Judy! Great features Judy and thanks for hosting! Great features, love the vintage girls room, it is adorable! Hope you have a wonderful week and thanks for hosting. Thank you for featuring me! Have a great day! Hi Judy! The features are terrific! Thanks for hosting a lovely party! I'm back from a too-long blog break and hope to see you for Potpourri Friday! Hey Judy! Thanks so much for featuring my door hanging. Have a great evening! 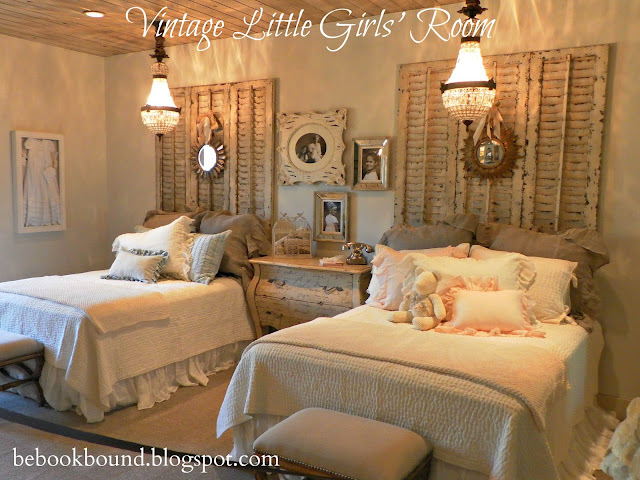 Great features- that vintage girls' room is fabulous. Thank you for hosting! LOVE the coffee sack ottoman! Thanks so much for featuring my coffee crumb cake! And thanks, as always, for hosting! !